The goal was to design a small monitor as part of a practical training. For high frequencies in the first version we used the Audaphon TWS 25/6. TWS 25/6 has been replaced by Seas TWS 27-6 in the recent MK2 version. For bass the affordable Tangband W4-655 SA is used. 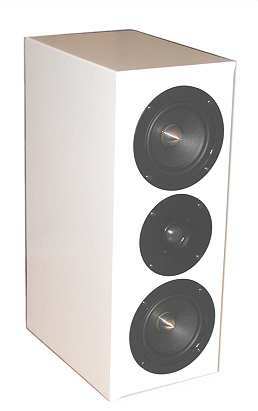 One of our trainees - with the help of Dennis Frank - designed in February 2005 a bass reflex cabinet with a rear port. If requested the rear port could also replaced by two front slots of half the cross-section. 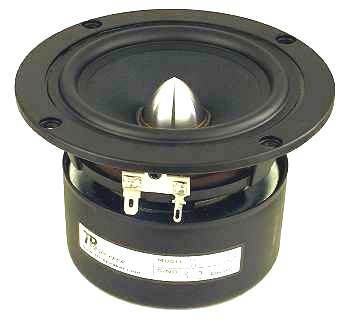 The speaker may then be placed with the back to the wall. According to listening tests the Simon is an excellent performer.